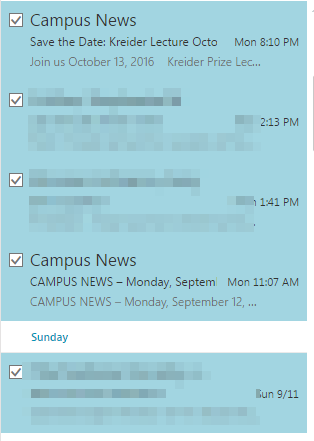 A Instead of selecting one message at a time, select several messages at the same time to efficiently delete them. 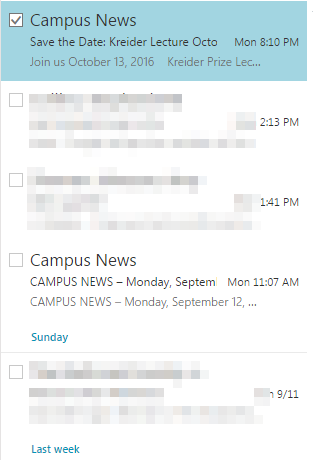 Step 1:You have several messages that appear together on the list and want to delete them all at the same time.Step 2:Click on the first message in the group. Step 3:Hold down the [SHIFT] key, click the last message in the group. 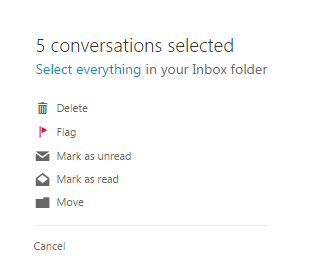 Step 4:All the messages in the group are selected. Step 4:A message will display in the viewing panel with options for the multiple messages selected.